Who Wants a FREE Care Package? Did you know we offer on-site and virtual care package parties? Anyone, anywhere can organize a private group pack-up party and here's the secret: we do all the work and YOU get all the credit! We have the tools in place to organize your group's private pack-up--just let us know you are interested and LET'S DO THIS! 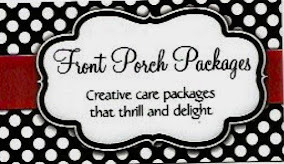 We can come to your location with everything needed for a care package party. We bring the decorated boxes plus all the contents of the care packages, ready to be packed. You and your group arrive empty-handed and leave with a fully-packed care package ready to be mailed. We can also mail for you. Each host receives a FREE care package if at least 5 people purchase a care package from Front Porch Packages. We love hosting alumni groups, sports teams and Moms' Groups. Who needs some Midterm Motivation? 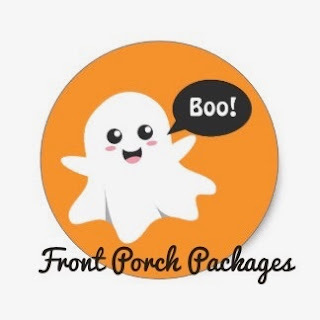 What is in your Front Porch Package? Thanks for stopping by! Our service sends thoughtfully collected items to thrill and delight the receiver. We especially enjoy sending care and support to college students.